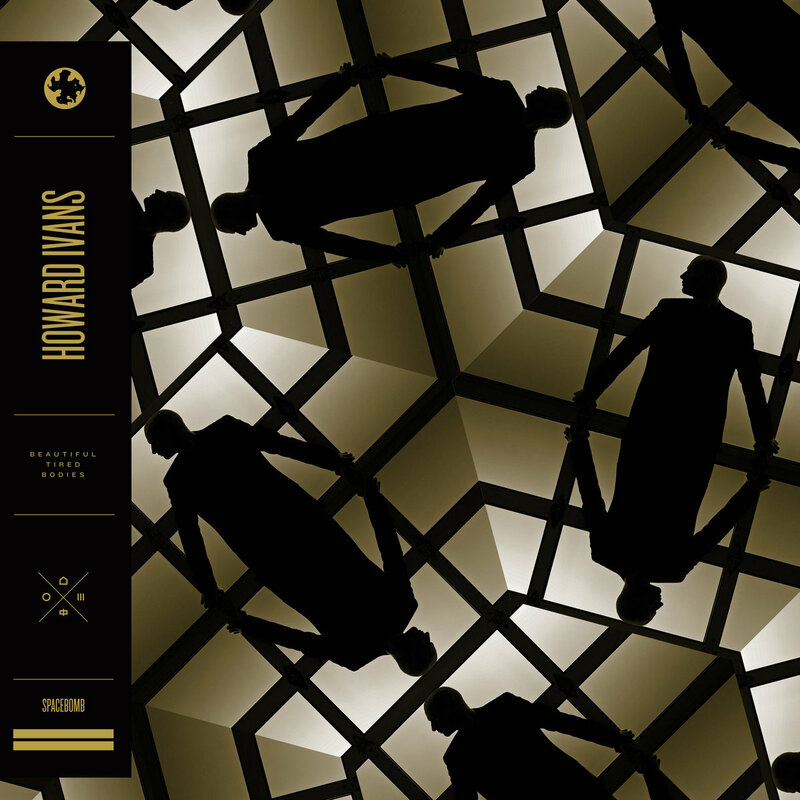 On the surface you wouldn’t know Bigfoot helped inspire the sensual, intoxicating album Beautiful Tired Bodies from Howard Ivans, the project’s moniker for Ivan Howard. Howard, who attended UNCW and formed The Rosebuds with Kelly Crisp in Wilmington in the early 2000s, moved to Portland, Oregon several years ago to pursue a relationship. He later married, and would return infrequently to Wilmington to perform. In 2011 Matthew E. White from Richmond, Virginia’s Spacebomb Studios came to check out his show. He’s referring to Spacebomb’s house band that would eventually play on the album. The Rosebuds made another record – Sand+Silence and Howard continued to write and make demos in his Portland basement. Familiar with the label’s house band already – they’d done pre-production via email and during a tour in 2013, Howard would show up, the band would learn the song, and then they’d record. Recording two songs a day, six days later it was done. Howard’s lush neo-soul sounds like a mix of seduction on an energetic dance floor and the album emotionally draws you in beginning to end. Deep and falsetto vocals narrate as the music envelops you, doing so with an assortment of keys, saxophone playing, strings, and subtle, repetitive guitar jabs reminiscent of Nile Rodgers. Howard always knew the album he intended to make. He sought used record stores in Portland after moving there, buying Sade, Talk Talk, and old Robert Palmer albums aiming to understand what gave them a certain vibe. The production is indeed smooth, but intimate and hazy with sultry 70s-era club atmosphere. “King of Carelessness” epitomizes it, the album’s oldest song. Years ago Howard’s friend Eddie Taylor from Raleigh band The Loners (“one of my favorite bands of all time”) wanted to put out a compilation of songs by friends about Bigfoot. It never happened but Howard wrote one from Bigfoot’s perspective. Initially listening you’d never know, but it’s a romantic song with driving rhythm. Romantic too are the epic closing songs “They Don’t Know How It Feels” and “Jump In” bathed in ethereal Howard’s vocals and in which Tim Turner’s saxophone lends grit. He sings, “I’d kiss your voice if I could, let it carry us in any direction.” It’s a favorite for Howard, inspired by Fremont Bridge in Portland where he traveled over frequently with his wife. Did you have an interest in playing music as a kid? Howard: My mom played, they’d get together on weekend, I kind of observed as a kid. I played basketball, had no interest. I was supposed to walk on at UNCW and the week before broke my arms. I always fit in with the music kids in college. Those are the people I was always drawn too. I just happened to be really good at basketball. I was walking around campus with headphones and singing. Somebody heard me and told Brian Weeks I could sing. He they were looking for a singer for his band. Can you tell if the move to Portland has influenced your writing? I don’t really know, I don’t think it influenced me too much. It gave me different kinds of perspectives. There’s plenty of time to write because most of the houses here have basements. When I had a basement I did more writing and recording. Songs for the new album were all demoed out, some twice. Half the batch we did with the Spacebomb house band in Richmond. But they got busy with their own careers. Matthew E. White got big in Europe. They released an album by Natalie Pras that did awesome. Then they got all these other record producing jobs and my project got pushed to the back burner. Then I put another Rosebuds record (Sand + Silence). We finally got together last December. It took a week to get it done – six days. I didn’t have a band but the label had a house band, they’re trying to make it the new Motown. I knew these guys and we did a lot of pre-production through email and on a tour in 2013. Two of the guys I never met and I don’t know if they’d even heard the songs before. But we had churned it all out. I showed up and they would learn the song and then we would record it. We did two songs a day. Did you go into trying to make it a specific sounding record? I definitely did. I picked out an era of music I wanted it to sound like. At least have that as the starting point. One thing I did when I moved to Portland I started going to used record stores – Sade, Talk Talk, old Robert Palmer records, trying to see what makes those records have that vibe. So when it came to make the record we made a Spotify list of songs, we had a road map that was very loose. You never know until you get in a room with some people what its going to come out as. I never considered not doing it with them. I did the whole thing by myself (home recording) and it never got to where I wanted it to go. I knew those guys since we did the seven-inch back in 2013. I knew what they could do. I knew the points to take out of that first recording sessions that I wanted to emphasize on this new one. We took off a lot of the horns and strings arrangements and got it down to the rhythm arrangements. (The 45) was way more ornate. The sax on the album cuts deep. Tim Turner, Richmond legend who has played in the Foxygen band touring. He came in and those are all first take solos. It took fifteen minutes. It took longer to introduce myself to him than him to play it. Those guys are like that, that what makes those groups of people so special. Do you see an 80s influence on the album? I enjoy those bands in the 80s. Bryan Ferry, you know I didn’t like the Ferry stuff. I keep getting compared to it but I don’t know what songs. But I didn’t like those bands until I got older, but I always liked Sade. My mom would have the radio on, “Smooth Operator” would come on. I always liked that for some reason. That spoke to me even when I was a seven year old kid for some reason, I don’t why. I missed the whole MTV thing; I grew up on a farm. But I got it in college, by then it was Nirvana. In writing song lyrics, were you writing about yourself or about observation? It all depends, song to song. People around me and myself. When you’re writing lyrics you put some of your life in there but I’m pulling from everything I see at all times. (The name change) gave me freedom to create these stories that didn’t exist in real life, maybe… (Not reinvent), not really, I think I was just trying to have fun. Just sounded like a fun idea. Is “King of Carelessness” about something you learned or someone else learned? That song came about, that’s the oldest song on the record. I had a friend – Edie Taylor, he said, I’m going to do this compilation about Bigfoot. I was, like, yeah, I got a song for that. So I wrote that from kind of Bigfoot’s perspective, about he’s in the woods and he falls in love someone he can never have. Edie is the band The Loners in Raleigh, one of my favorite bands of all time. The compilation never happened and I always had that song and I wanted to do a whole record that sounded like that song. The smokiness of “Jump In” and the lyric “I just want to kiss your voice.” Can you share the story behind this song? That’s one of my favorite ones. It’s sort of about the relationship I’m in now. In general it’s about how when there are moments in your life where you have to make decision to go for it. There’s a bridge in Portland called the Fremont Bridge. I remember riding over the bridge a lot with my wife and it’s always been this special thing to me. And when I was coming up with these songs and ad-libbing lyrics, that jumped into to my head, jump into this relationship. Not really, for the past there years I’ve had this band of friends who work at this movie studio called Laika, who stop motion animation (Caroline, The Boxtrolls, Paranorman). When I moved to town my friend Taylor worked there and we share a love of Halloween and Halloween music in particular. We’re going to get this band together and play a Halloween party. I had some friends who lived here and they couldn’t do it. He said I know these Laika people who probably could do it. So they got in the band and some other Nike party got in the band and the Liaka people would dress up in these amazing costumes. So we would throw this party every here, it was unreal. I’ve been kind of playing with them, random shows here and there. My friend’s uncle has this private warehouse and that’s where we throw it, his uncle designed Air Jordan’s. Between all those people it was a very design oriented, an amazing Halloween party. “They Don’t Know How it Feels” is five minutes but it feels like a mini epic. Was it always meant to close out the album? I think that’s the last song I wrote for the record. It didn’t have a chorus and Cameron who co-produced the record and played bass. He said, why don’t you write a chorus to this song? I sat down and wrote it real quick. Those were the first words that popped into my head. I thought about changing them because it’s a big song. It reminded me of a classic song, so I’m not going to hold back and say what I want to say. It just kind of worked, emotionally, lyrically, its one of my favorites on the record. The album has a way of emotionally pulling you in. I kind of let it happen and I don’t know where it comes from. And I sift through my initial ideas and try to catch onto one thing. I have notebooks of lyric ideas and scrapbooks of lines. I’ll sift through and sing through the songs and eventually find a path. Sometimes it takes a very long time and sometimes it’s really quick. I never know, it’s a daunting task, always has been. I had half the songs lyrically written and the other half I would lyrics. We would record music that day and I would write lyrics that night. I wouldn’t sing it until the weekend and I would run it by the guys. Once you know the atmosphere and what the songs are about mood-wise it becomes easier. I would craft demos in the basement in Portland, using a laptop, and initially on my phone. I think my limitations as a musician affords me a luxury of not having a lot of options when I write songs. I can get inspired pretty easy by a different instrument, like the piano. The last Rosebuds album I wrote a lot of it on piano. They’re really easy chords and somebody else might hear that and might not be inspired by it because they play the piano killer. But I can barely play it and when I hear an overtone and a chord it opens up a whole world for me. When I was doing these songs a lot of these were inspired by drum rhythms. I would start the song, I would do a loop of a drum rhythm and I try to paint this colorful soundscape. It would start with atmosphere and then it would automatically be melody. It has to have the right vibe too.